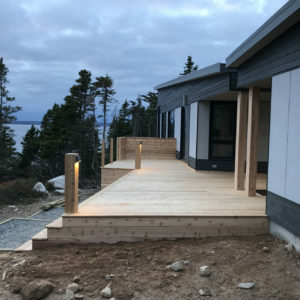 The Atlantic Coast Passive House is a modern style bungalow with a walkout basement located on a beautiful oceanfront property in Indian Harbour, designed to meet the Passive House standard. 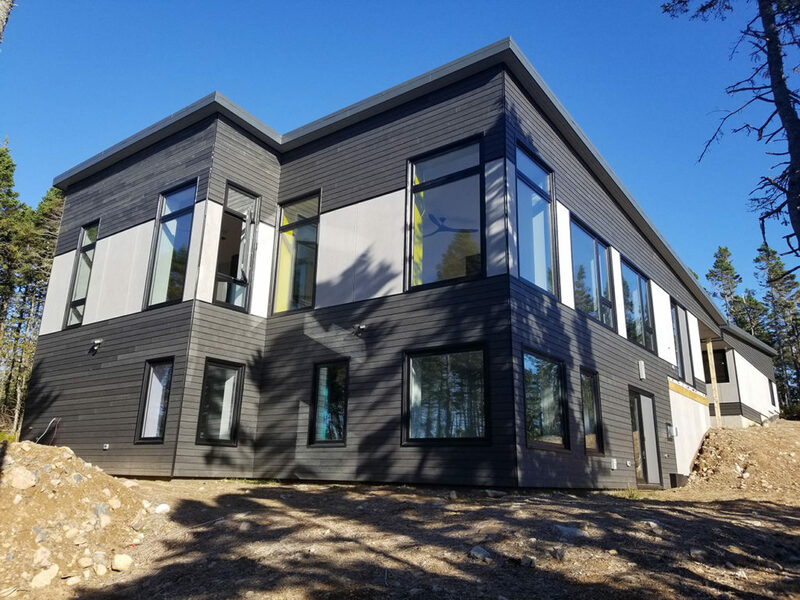 This home will allow our Homeowners to live comfortably in a home that can be heated with minimal mechanical equipment, such as a single mini-split ductless heat pump. In order to maintain a comfortable inside temperature, ambient heat sources such as sunlight, hair dryers, body heat, appliances etc. need to be factored into the heat design calculation. 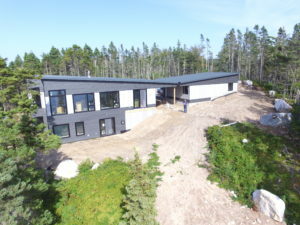 Without a doubt, our Passive House Project will have a reduced carbon footprint on our planet. 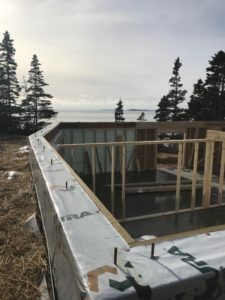 Extremely efficient with R-80 in the ceiling, R-55 in exterior walls and a unique, super insulated slab and foundation. 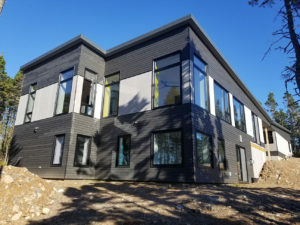 Extremely air tight (for increased efficiency) with a blower door test result of 0.58 AC/H. Our Homeowners have selected natural wood siding and high density cement panels for their earth-friendly home on their beautiful ocean front property: Keel ArmorPlank Cement Panel. 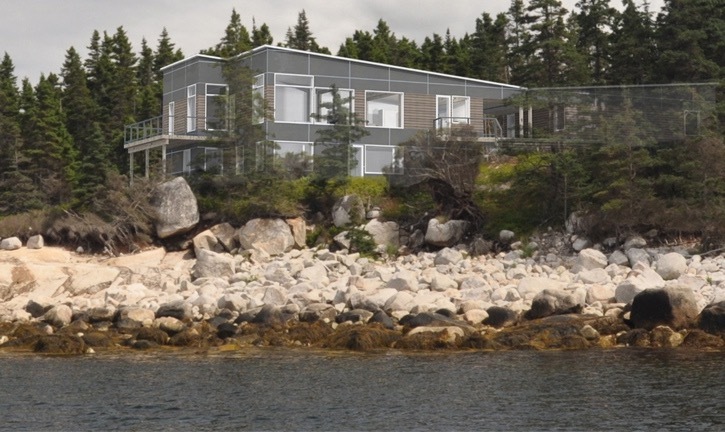 Color: Light Gray, Fraser Evolution Series Wood Siding – Atlantic Collection. Color: Peggy’s Cove. 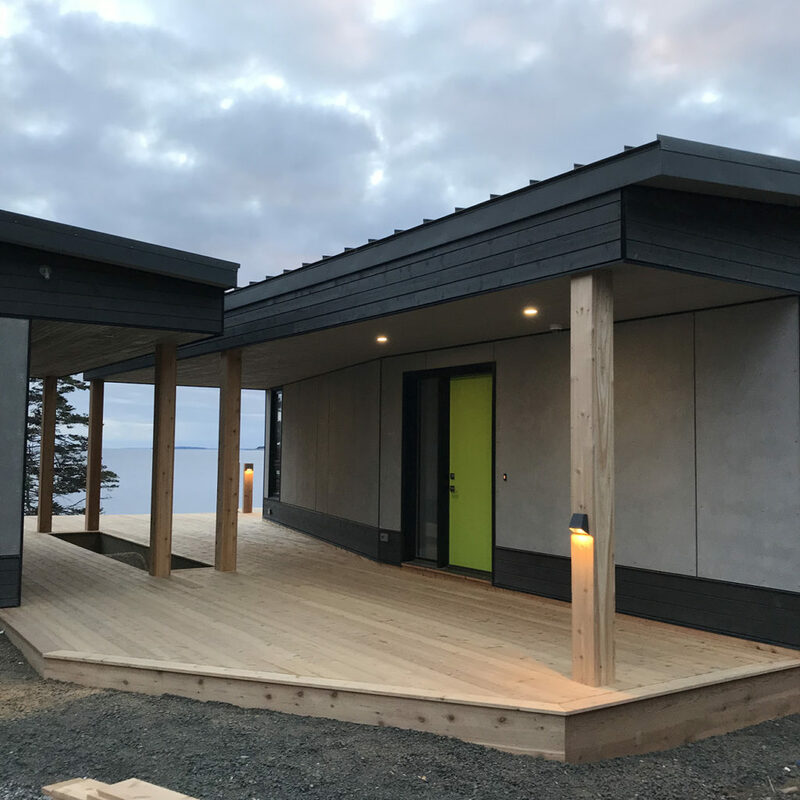 A drilled well was not an option for this oceanfront home, so we incorporated a “Butterfly Metal Roof” system that will collect rain water from both buildings and store it in a cistern. The cistern is equipped with a water treatment system which will then treat the rain water and supply the house with fresh water. Modern trim package throughout home, including a custom designed and built bed in the master bedroom. Our Clients intend for this home to be their “forever” home. Aging in Place technologies included: Roll in custom shower in master ensuite, wider hallways and doorways, accessible plumbing fixtures.